Working out and eating right is difficult enough - buying into popular exercise misconceptions can make it even tougher. 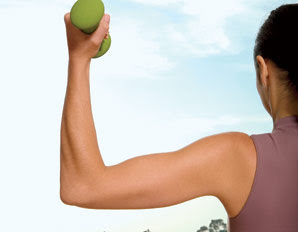 Arm yourself with the facts to keep you slim, strong and motivated to reach your goals. REALITY: Muscle and fat are two completely different tissues that have different functions, so it's physiologically impossible to turn one into the other. If you stop exercising, your muscles atrophy, so you lose the tone you worked so hard to create. And if you eat more calories than you burn, you'll gain fat. MYTH: You need to exercise 30 minutes straight to get fit. REALITY: Three 10-minute cardio stints offer the same healthy payback as a single 30-minute one. If you are trying to peel off pounds, of course, the more you do, the faster you'll succeed. But don't feel guilty if all you can squeeze in is a few minutes here and a few minutes there—it all adds up. Short on time? Ratchet up the intensity of your workout: Go hard for 30 seconds on the elliptical or jog for a minute in the middle of your walk to maintain your fitness level and your habit. And remember, anything you do—whether it's a brisk 5-minute walk or carrying heavy groceries to your car—for any period of time, provides some benefit. MYTH: Overweight people have a sluggish metabolism. REALITY: Though some folks do have metabolic disorders that slow their metabolism, fewer than 10 percent of overweight people suffer from them. In fact, the more you weigh, the more calories you'll burn during exercise at the same relative workload as a slimmer person. If you notice the scale climbing higher, worry about your activity level, not your metabolism. MYTH: Lifting heavy weights make women bulk up. REALITY: Women don’t have enough of the muscle-building hormone testosterone to get bulky, even using heavy weights. The truth is, some people will gain muscle faster than they lose fat, so they may look bigger until they shed some of the flab and reveal the slim, toned muscles underneath. Shape sleek muscles with this workout from The Biggest Loser's Jillian Michaels. MYTH: You can’t lose any weight by swimming. REALITY: It’s true that long-distance swimmers who navigate colder waters tend to retain body fat for insulation. But ask anyone who laps it up while training for a triathlon: You will sizzle off pounds in the pool, since swimming burns 450 to 700 calories an hour! One reason you might not shed flab doing freestyle? If you throw in the towel and cut your workout short. MYTH: You burn more calories exercising in chilly weather. REALITY: If you shiver through a long run in the frigid winter air simply to experience the extra calorie burn, you might want to come in from the cold: You do torch a few extra calories during the first few minutes, but once you get warmed up, the caloric expenditure is the same whether you’re exercising in Siberia or the Sahara. Try a treadmill circuit workout with a great playlist to keep you going! MYTH: When your body gets used to an exercise, you'll burn fewer calories doing it. REALITY: Unless you've adjusted the intensity, you'll burn as much jogging or cycling today as you did last week, last month, even last year. Experts say that this principle only applies to exercises that we're naturally inefficient at, such as using the elliptical machine: After five to six sessions, you'll be smoother in your movements and expend fewer calories—but the difference is only about 2 to 5 percent. MYTH: The calorie readout on machines is accurate. REALITY: If only! Research has shown that some types of machines can be off by as much as 70 percent. The culprit? Contraptions such as the elliptical machine haven’t been around long enough for exercise scientists to develop the appropriate calorie-burn equations. On the upside, stationary bikes and treadmills, the grandfathers of the gym, generally give a fairly precise reading, particularly if you enter your age and weight. Rather than swearing by what the machine says, use the calorie readout to monitor your progress. If the tally climbs during the same workout for the same duration, you’re working harder and getting fitter. An online calorie calculator can give you a sense of which activities burn the most. Some of these I knew and some I didn't. Excellent post. Off for my long walk now. where do you get those ear candles?? Sadie - I'm glad I could help! I can't tell you how many times I've heard people say that their muscle has turned to fat. That's a common misconception. Schizoshrink - You should be able to find them at any health food store. You can also buy them online.